For you or me, golf may otherwise be known as a good walk spoiled. Whether you’re a 20 handicap duffer or a scratch golfer, you’re probably not thinking about your tax bill when you’re playing. For most people, taxes play no role in the game of golf. But for the professional golfer, taxes can make that spoiled walk even more spoiled. The professional golfer has just as many tax issues to consider as he has swing mechanics. Do I have to file a U.S. tax return? Do I pay tax on all income if I’m a resident? What kind of deductions can I take? Where do I have to file a tax return? Let’s take a look at just a few of the unique tax issues the professional golfer faces. Over the last ten years, six players from outside the U.S. have won the coveted U.S. Open tournament. This proves that the game of golf is an international game; players from all over the world compete in tournaments within the U.S. Likewise, players from the U.S. play all over the world, including on the European Tour and Asian Tour. 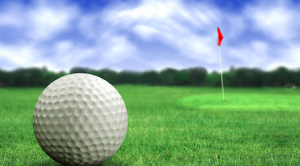 Generally, residents of the U.S. must pay U.S. income taxes on all taxable income earned worldwide, while non-residents only pay U.S. tax on income earned in the U.S. Consequently, it’s imperative for the professional golfer to keep taxes in mind whether they are a resident or non-resident of the U.S.
Professional golfers incur countless expenses to stay on top of their game; naturally, they want to use these deductions to lower their total income that is subject to tax. Professional golfers are allowed to deduct all of their ordinary and necessary expenses incurred in playing the game to lower their tax bill. Ordinary and necessary expenses for a professional golfer include costs of agents, management companies, equipment, tournament entry fees, instructors, personal trainers, even sports psychologists. There is no end to the amount of deductions the professional golfer may use to offset taxable income, as long as those expenses are ordinary and necessary to the profession. Certain travel expenses may even be deducted, including transportation, lodging, and 50% of meals. The general rule is an individual may deduct travel expenses while away from his/her tax home overnight for a temporary business purpose. The key is defining the professional golfer’s tax home. The ‘tax home’ is generally defined as the principal place of business, no matter where their family lives or where they claim to principally reside. A professional golfer travels on a constant basis and most likely doesn’t have any principal place of business. Thus, the professional golfer’s tax home is generally where they spend a majority of their time in the off season training and preparing for the new season. For example, Tiger Woods lives in Jupiter, Florida and most likely uses this home as his tax home. While he is away from his home playing golf in a tournament, he is allowed to deduct the cost to travel to the location, the cost of meals and the cost of lodging. A professional golfer also participates in frequent charitable events, such as a tournament pro-am on the Wednesday before a tournament, or the golfer may have created his own foundation for a cause important to him. The golfer may take a charitable contribution deduction for donations of cash or property to the charity, subject to certain limitations based on the type of charity and the taxpayer’s adjusted gross income. As with all taxpayers, the golfer may not deduct the value of his or her time participating in such events. The golfer may only deduct any out-of-pocket expenses associated with participation that directly benefit the charitable organization. For example, the golfer may deduct certain travel expenses associated with attending the event or he may deduct the cost of any supplies or equipment used in participating in the event. Possibly the biggest tax obstacle of the professional golfer is the potential requirement to file a separate state tax return for each state the taxpayer earns income. Each state has its own tax system and tax laws which may or may not require the taxpayer to file a tax return and pay that state’s income tax on the income earned while in the state. On the other hand, some states do not have an income tax (Texas and Florida, for example). Each golfer must generally pay tax in the state the income is earned. For example, if a Missouri resident wins a tournament in Wisconsin and receives prize money, the professional golfer will owe income tax on the earnings from that tournament to Wisconsin — while all other income is not taxed in Wisconsin. In addition to the winnings in each state, a taxpayer generally must pay tax to his state of residency. Most states subject an individual to a tax on worldwide income if he/she is a resident of such state. Although, the state may grant tax credits or deductions for taxes paid to other states. Consequently, many golfers claim residency in Florida due to its lack of a state income tax. Some professional golfers may even operate through a state level business entity such as a corporation or limited liability company. The formation of these entities is mostly intended to protect the golfer’s personal assets from claims arising from the business, but the choice of entity is also comprised of tax advantages and disadvantages of each entity. For tax purposes, the formation of a single owner limited liability company provides no additional tax issues to consider because the entity may be disregarded under the tax code. On the other hand, the formation of a corporation creates a separate tax entity and raises several more tax consequences in addition to those already discussed. The professional golfer has to file separate corporate returns with both the IRS and all relevant states in addition to his/her individual return. The professional golfer may be subject to double tax if the golfer chooses C corporation status, once at the corporate level and once at the individual level. The golfer must pay himself/herself a reasonable wage from the corporation and file all of the necessary payroll tax reporting documents with the IRS and each associated state. The existence of a corporation may also provide the golfer with additional fringe benefits and retirement plans. While the professional golfer has numerous additional tax issues to consider which the normal individual doesn’t have to worry about, the professional golfer is granted some relief: he/she may deduct the fees associated with the preparation all of those numerous and detailed tax returns. Michael Lankford is a tax attorney and senior tax researcher for The Tax Institute at H&R Block. He specializes in tax issues for business entities, sole proprietors, employee business expenses, and investments.